Blacklist dress. Foreign Exchange hat. Shoe Cult by Nasty Gal shoes (c/o). 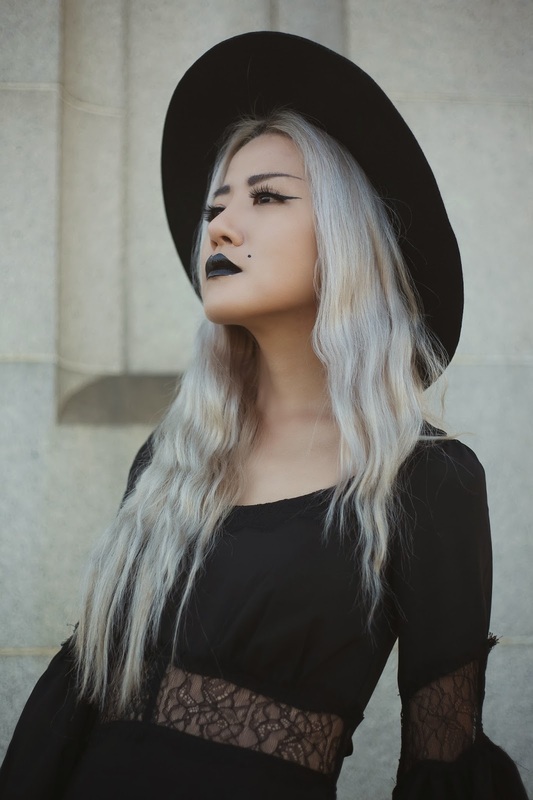 Halloween is over, but that's no reason to stop dressing dark. Totally in love with this haunting black dress I got months ago but hadn't blogged. 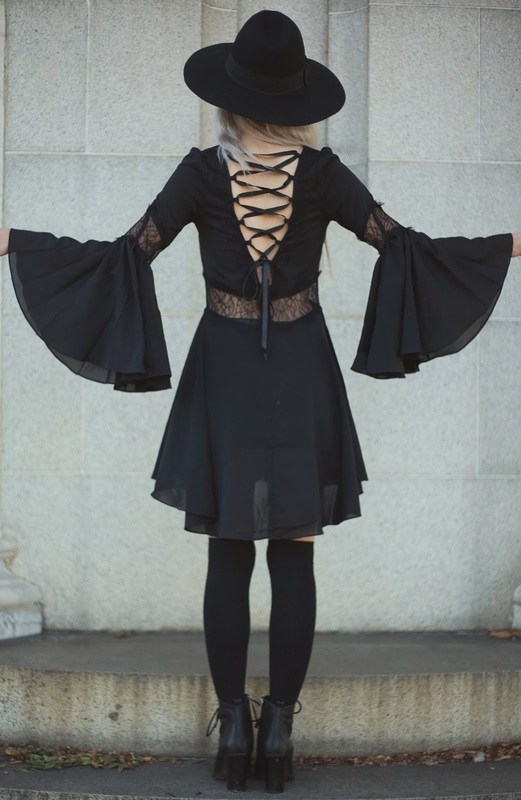 The amazing sleeves and perfectly placed lace panels are everything; I feel like I'm straight out of American Horror Story: Coven. So when can I enroll in Miss Robichaux's School for Exceptional Young Ladies? in love with your dress. The outfit & location are both so gorgeous. I wish there was places like that near me. That first photo is amazing, couldn't take my eyes off it!